As you may know, the Surface devices are my work devices of choice since the first release of the Surface Pro back in 2013. I had a couple of different generations, like the Surface Pro 2, Surface Pro 3, the Surface Book and my current daily driver, the Surface Pro (2017). 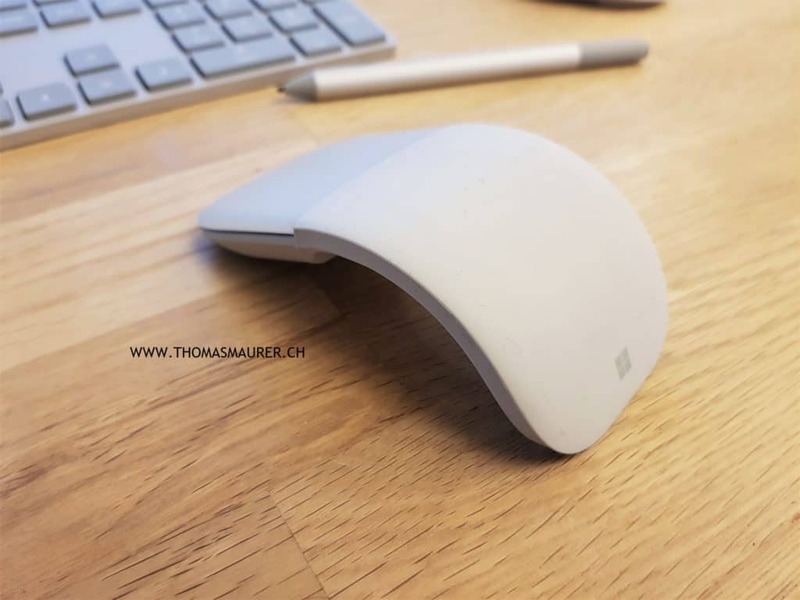 The Microsoft Surface devices are quiet known now, but what a lot of people don’t know, is that Microsoft also creates some great Surface peripherals for your Surface or your PC. So I try to go through what devices and peripherals I am using with my Surface. 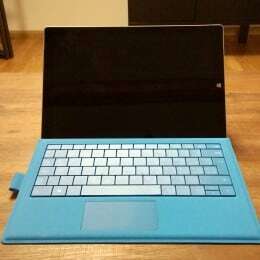 When I am on the go, I obviously using the Surface Pro Signature Type Cover for my Microsoft Surface Pro. I decided to go with the grey Alcantara version, because the grey matches the other Surface devices perfectly and the Alcantara has this high-quality premium touch. I always liked the Surface Type Covers and Microsoft improved them a lot over the past years. 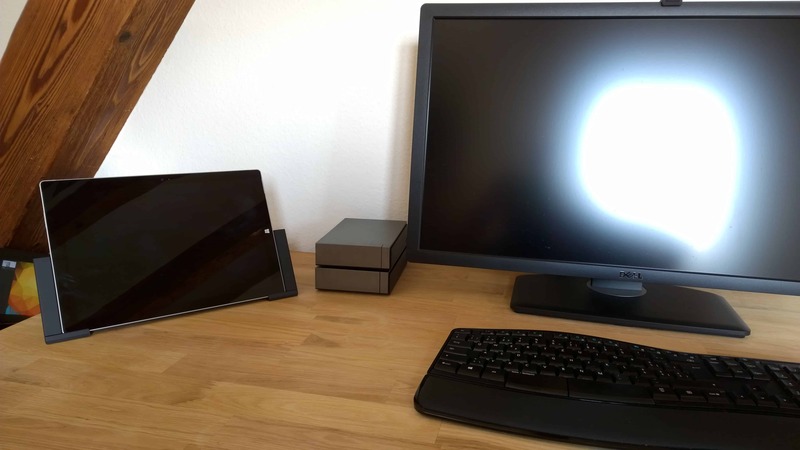 If I am at home and I connect my Surface Pro to the Surface Docking Station, which connects it to two external monitors, I use the Microsoft Modern Keyboard with Fingerprint ID. 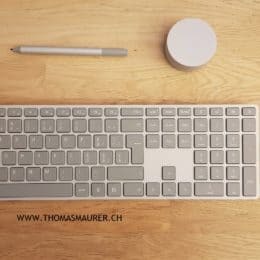 This keyboard is the successor of the Surface Keyboard and bringt the great feeling and quality from the Surface Type Cover and the Surface Book keyboard, to the desktop keyboard world. I especially like that is can be not only be connected wirelessly using Bluetooth, but also wired using USB. The USB port also let’s it charge the keyboard when the battery after 4 months goes down or in offices spaces where you want to use a wired keyboard. The big thing about the Microsoft Modern Keyboard is the integrated Fingerprint sensor, which allows you to use Windows Hello to login to your PC. Over a week ago I finally got my Microsoft Surface Pro 3 and I will try to cover my first impressions in this blog post. Two years ago I replaced my notebook with the Surface Pro and one year later I replaced the Surface Pro with the Surface Pro 2. I have used both devices as my primary work devices for work as a consultant, at university and at home. The Surface is the perfect work device since I travel a lot. With the Surface I replaced my notebook, my desktop and my tablet with one single device. I always had one complain about the Surface and this was the screen size. If you travel and you work 8-10 hours in front of a 10-inch screen, you start thinking about a bigger screen. Lucky with the Surface Pro 3 Microsoft changed that. Now the Surface Pro 3 got a 12-inch screen and they also changed the ratio from 16:9 to 3:2 which makes a huge difference in terms of space on the screen. I just love the new screen size, it is absolutely perfect and still not too large for traveling. But let me jump back to the review. For me a great device includes three different things, design, features and a great eco system for applications and accessories. And this was one of the reason why I was a Apple user for a long time, because they offered great design, great hardware features and they had an ecosystem were software and hardware worked perfectly together. Microsoft does not disappoint with the Surface line, the first and the second generation was already great and the third generation does not stop there. 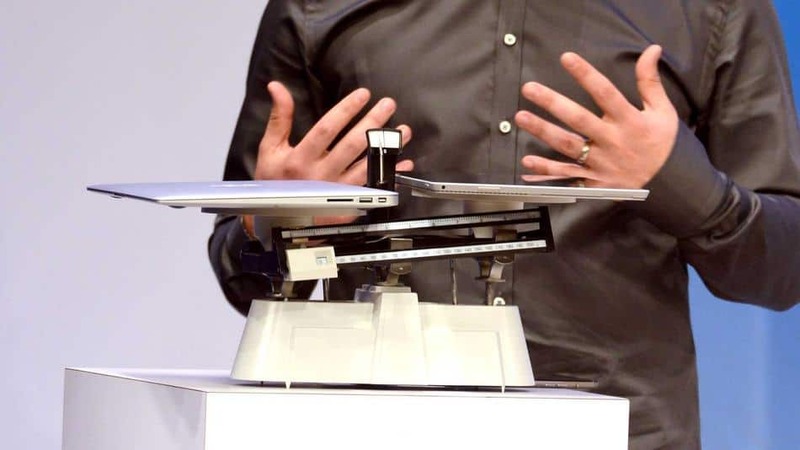 With the Surface Pro 3 Microsoft could finally make the device a lot thinner and than before. The device now has a larger 12-inch screen and a new 3:2 ratio instead of the 16:9 ratio before. This makes a huge difference if you hold the device in portrait mode to read something or browse the web and it also offers you a lot more space on the screen. Another change Microsoft did was to change the color from the dark VaporMg from the Surface Pro line to the silver color of the Surface 2. I am still not sure which color I like more, but both look great to me. After the size and the color the third big change is the new kickstand. 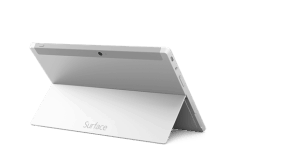 The new kickstand does not only offer two position like the Surface Pro 2, you can now put the Surface in any position you want. As always the build quality of the Microsoft Surface Pro 3 is just impressive. As a former Apple product user, I am really happy with quality, design and the durability of the Surface Pro 3. Microsoft sends a clear message here to his partners and competitors, about quality of tablets and notebooks. Everything seems to be at the right place and all buttons and the whole chassis is feeling very “high-class”. 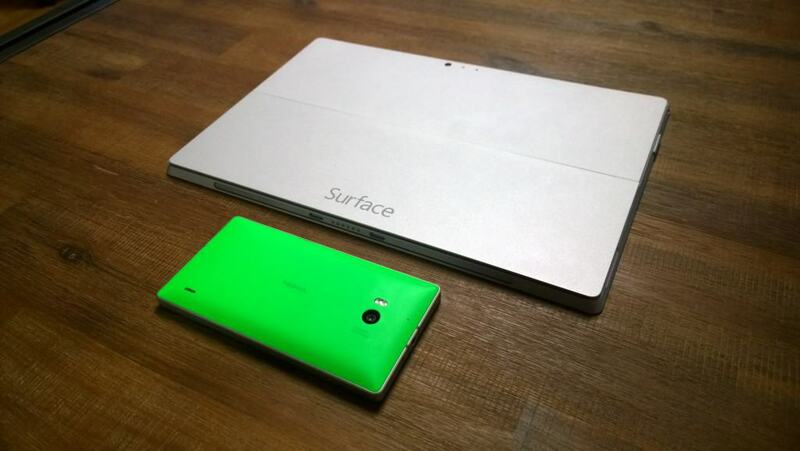 I really like the size and dimensions of the Surface Pro 3. The Surface Pro 3 is not only thinner as the Surface Pro 2, it is also lighter. The Surface Pro 3 is 9.1mm thin and 800g light, which makes it a lot more portable than most ultrabooks out there but of course heavier than most tablets. For a tablet the display is the key component, and Microsoft did a great job with the Surface Pro 3. I already liked the screen of the Surface Pro 2 but the new screen is just amazing. Not only do I like the new high resolution (2160 x 1440) and the aspect ratio of 3:2, I also love the colors. One of the most underestimated features of the Surface Pro line is the integrated digitizer pen, which allows you to use digital Ink. The Surface Pro comes with a digitizer pen which is perfect to take notes with OneNote and other stuff. As I mentioned I am using the Surface Pro at work and at university. At university I am using the pen mostly to take notes and mark some important stuff in documents and PDF files. At work I am not only using it to take notes, it’s also great during workshops or presentation, where you quickly want to draw something instead of using a whiteboard or a flipchart. And for all iPad or Android users, this is not just a normal Pen which buses capacitive touch, which basically is just a simulated finger, this is a digitizer pen which only works with special displays and for example offers pressure sensitivity and automatically deactivates touch input during your writing so you can place your hand on the screen. The new pen also adds an OneNote button. If you press the OneNote button once you will open up a new page in OneNote even if the Surface is locked. This feature really helps you if you have an idea you want to write down really quickly. If you press the OneNote button twice you will be able to quickly mark the spot on your screen and quickly take a screenshot and save it to OneNote. This feature is just one of the example where Microsoft brings together there products and services for a better customer experience. 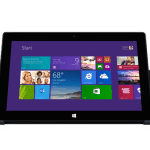 Microsoft again improved the audio on the Surface Pro 3. And it is great if you want to watch a movie in the hotel room and it is pretty much better than on any other notebook or tablet I have used. But still if you are a music lover you better get some headphones or external speakers. 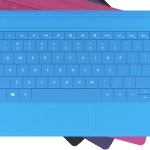 The Surface Pro 3 has full-size USB 3.0, microSDXC card slot, a Headset jack, a Mini DisplayPort and at the bottom a Cover port for the Type Cover 3. Of course also the older Covers work perfectly but they just don’t match in size. 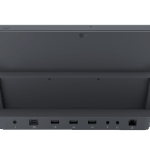 The position of the ports have changed a little bit from the Surface Pro 2. 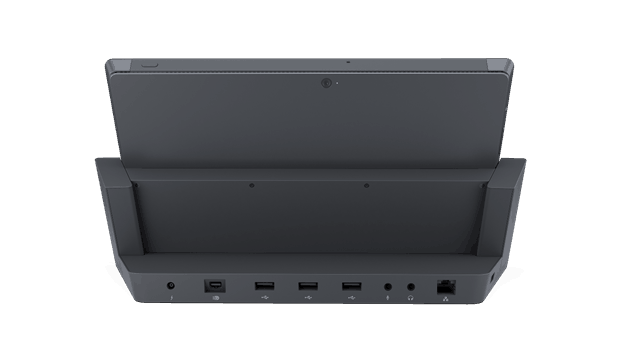 The great thing here is that Microsoft moved the Mini DisplayPort to the upper right side which allows you now to use that port even you have docked the Surface into your docking station. So you can easily use to 4K displays at the same time. One the power adapter you get another USB port for charging other devices like your phone, so you can still use your USB 3.0 on the Surface for other things. 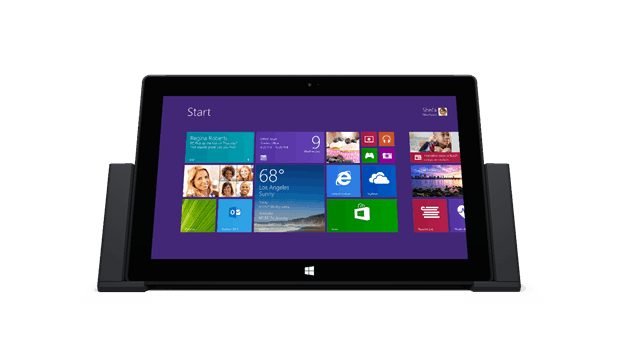 The Surface Pro 3 comes equipped with a powerful 4th generation Intel i3, i5 or i7 processor. For myself I got the i7 version and if you run some heavy workloads the device gets a little hot. You can feel a little bit of temperature on the back site and you can some fan noise. In normal conditions the Surface stay cold and you can’t here anything from the fan. I think the heat and the fan noise are the result of the new and thinner design. The wireless performance on the Surface Pro 3 seems to be great with no issues or troubles at all. I really can’t wait to get one of the Miracast adapters to stream my display to a beamer or another display. One of the great features of the Surface product line are the covers. 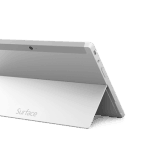 With the Surface Pro 3 Microsoft also released the Type Cover 3 which is basically the successor of the Type Cover 2 and is even thinner. 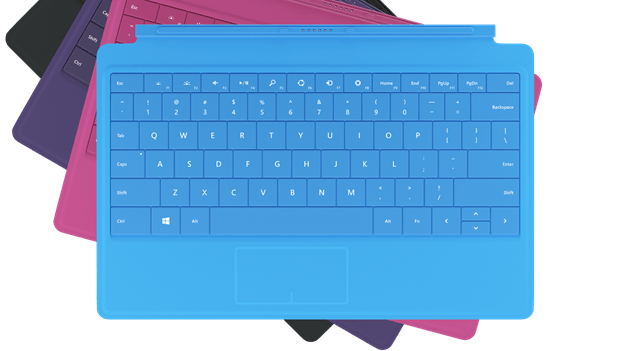 Microsoft are claiming there are a lot of optimizations in Type Cover 3 and the two you will really see are the size which matches the Surface Pro 3 now and the new trackpad. The new trackpad is key here, it is bigger and a lot better than the trackpad of the Type Cover 2. They changed it back to a hard plastic and made it clickable again, which just feels a lot better if you work with it but it does look better than the first version of the Type Cover. The new Type Cover 3 comes with backlit which makes it perfect if you are working low light conditions like the Type Cover 2. The backlighting is automatic and turns of if you are not using it. If your hover over the keyboard with your hand, the Type Cover will automatically turn on the light again. They also added new color options two the lineup, the Type Cover 3 is available in purple, red, blue, cyan and black. 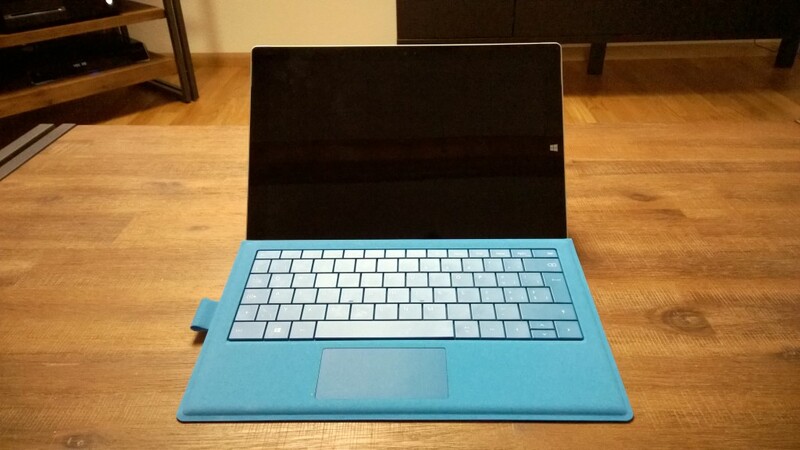 Again the Type Cover is on of the must have accessories if you want to use you Surface as a laptop replacement. It works pretty well with the build in kickstand. The first thing I realized when I did start the Surface Pro 3 was that this thing is a screamer. The performance seems to be amazing but since the Surface Pro 3 is using the same generation of Intel chips I don’t think there is a huge difference between CPU performance. I think the key difference could be that Microsoft is using faster SSD storage in the Surface Pro 3 than in the previous generations. Since performance never was an issue for me I still like the new performance boost. With the new core i7 version you should not only get more CPU power, you should also get some more graphics power. Microsoft is claiming that you get up to 9 hours of battery life, which fore me is a little more than with the Surface Pro 2. In my first test I think I am pretty close to get this 9 hours. But what impresses me even more is the Connected Standby or InstandGo features which allows you to wake up the Surface Pro 3 within an second. In my first tests the I charged the Surface on Friday and worked during Friday, Saturday and Sunday around 7-8 hours and the battery life was okay until late Sunday evening. But to get exact numbers I still have to run some more tests and see how it behaves in day to day usage. Finally Microsoft also upgraded the front-facing camera to a 5 megapixel camera like the Surface 2 already had, but the Surface Pro 2 didn’t get. For me this gets even more important if you do a lot of Conference Calls via Lync or Skype for example. Software is where everything comes together. Windows 8.1 works perfectly on the Surface Pro 3 and I really like the mix between touch and keyboard usage. I use it as a tablet with touch apps and can run a full desktop applications like Office to get real work done. I really love the combination of different Microsoft Services such as Skype or Lync for communication. But where the real power comes together is with OneDrive and OneNote. The new Surface Pen and OneNote are already a perfect combination. You can press the OneNote button on the Surface Pen and OneNote opens instantly and you can start taking notes, even if you are not logged. The notes from OneNote get sync via OneDrive on all your devices like your phone or desktop pc. Microsoft is not only bringing software services together, they are now also integrate hardware. Microsoft also offers a lot of different accessories like display or Ethernet adapters which you just need to work efficiently. 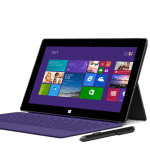 But they also offers some great accessories like the Type Cover 3 which allows you to use your Surface Pro 3 together with the built-in kickstand as notebook replacement or the Surface Pro Docking Station which allows you to dock your Surface if you are at the home or in the office and connect automatically to external displays, external hard drives, keyboards and other stuff. 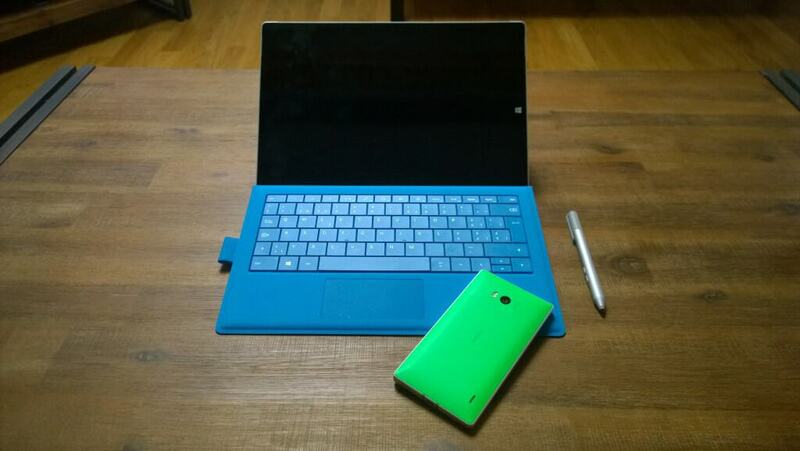 This two accessories complete the whole story of the Surface Pro 3. Now what can you expect from the Surface Pro 3? 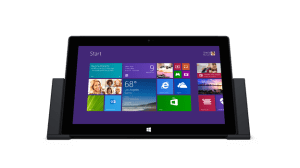 The Surface Pro 3 is a high class work machine which can transform to different devices such as a tablet or notebook and with the Surface Docking Station you can even replace your desktop. For me the Surface Pro 3 replaced three devices. It replaces my notebook which I need to get work done and I also use it as my tablet at home or when I watch movies on flights or in the hotel. At home I got the Surface Pro 3 docking station which allows me to use two external displays. 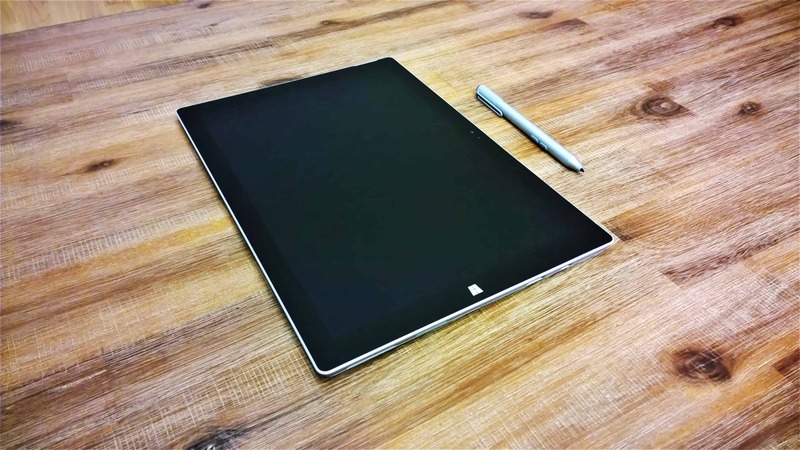 Of course if you are looking for just a tablet or just something to replace your iPad, the Surface Pro 3 is probably not the right device for you. But if you like to replace your classic notebook and your tablet with one device, the Surface Pro 3 is just the best machine available right now. I am a Surface Pro user since the first hour, the Surface Pro replaced my laptop. After I got my Surface Pro 2 I replaced my Surface Pro it started to become my daily work machine, which I use for my work, university and at home. 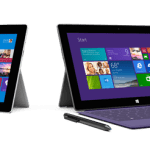 With the release of the Surface Pro 2 Microsoft fixed the kickstand and the battery life issues, which really made a huge difference to the first version Surface Pro. My biggest issues with the Surface Pro 2 was the size of the screen. When I worked at university or at a customer the small screen wasn’t really perfect to work for 8 hours. Of course weight and thickness could be better, but for me was never a killer issue, because it was already much lighter and smaller than my laptop. One of the things I liked the most about the Surface Pro was the Pen which was really great for taking notes or during customer workshops. 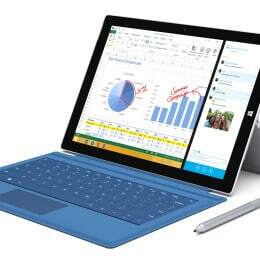 Yesterday Microsoft announced the new Surface Pro 3 with a lot of great enhancements. The most important changes for me was the screen, they not only made it bigger with a higher resolution, they also changed the ratio from 16:9 to 3:2 which I think makes it even better. I never was a fan of the 16:9 ratio. Microsoft also made the Surface Pro 3 lighter and thinner than without compromising on performance and battery life. 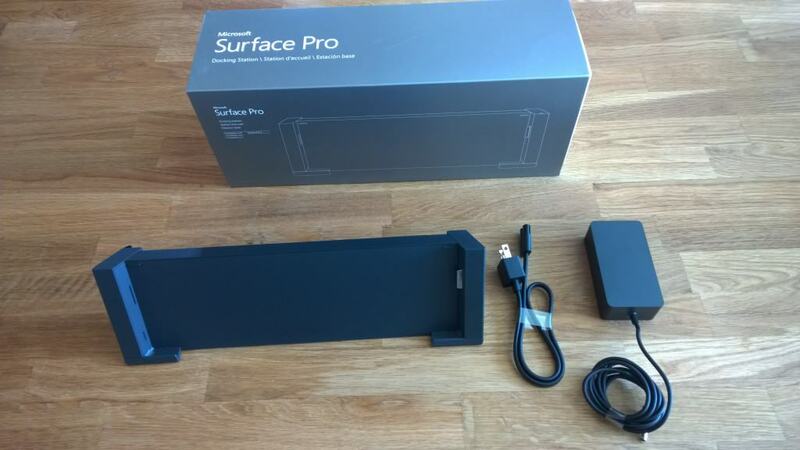 Microsoft not only released not only the Surface Pro 3 they also released some new accessories for it. New Surface Pen which has an even better integration with OneNote and with over 250 levels of pressure sensitivity and Palm Block technology. Since I am a huge fan of OneNote I really like how the new Surface Pen integrates with OneNote. The new Pen as a “OneNote” button. Pressing the OneNote button opens a new note in OneNote even the Surface is looked. There are even more features but I am sure you just have to try it out. It is great to see how Microsoft is building this great synergy between products such as their cloud offerings with OneDrive, software products such as OneNote and hardware. This and mainly the larger screen makes the description to upgrade to the Surface Pro 3 very easy. 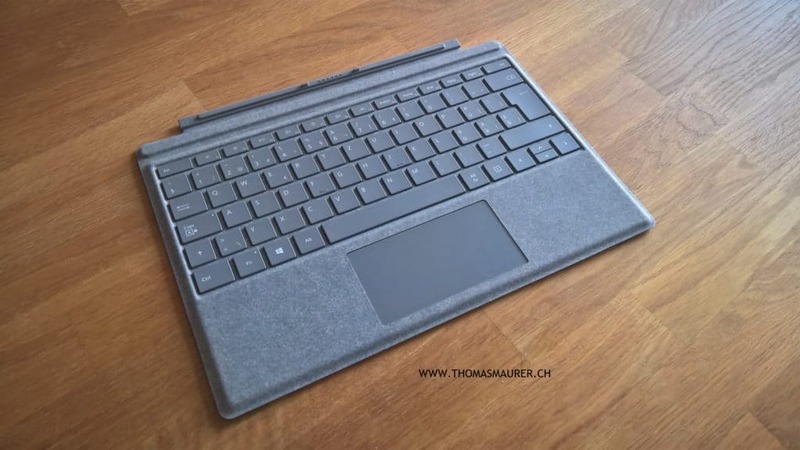 The Surface Pro 3 will be available in Switzerland in August. Microsoft today unveiled the Surface 2 and the Surface Pro 2 with some great new features and accessories. I really love the new features and especially the new docking station for the Surface Pro 2. I already wrote about how I am using my Surface Pro daily for work and school and now this release makes it even better for me. The only thing which would it make the perfect device for me would be if it had a larger screen. With the new setups I am not really sure which one will be the perfect machine on the road. The Surface 2 now gets better performance, USB 3.0, Full HD display, better battery life, and of course it’s already lighter and smaller than the Surface Pro. So this could make the Surface 2 the perfect machine but the Surface Pro still offers the some unique features like the digitizer pen, more performance, more Storage, more RAM, Intel CPU which allows you to run Hyper-V and now the awesome new docking station. So it’s going to be a difficult decision but I really happy with the updates Microsoft delivered to the Surface lineup today.